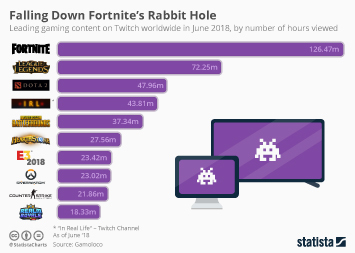 Epic Games, maker of the hugely popular online game Fortnite, is holding the first official Fortnite World Cup this summer, and the qualifying rounds for the esports tournament start as early as April 13. 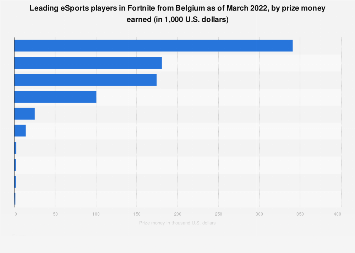 The final event scheduled to be held in New York City from July 26 to 28 will be the biggest Fortnite tournament to date and one lucky gamer will walk away as a millionaire. 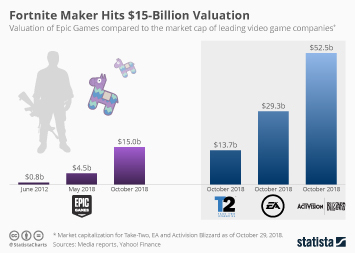 In total Epic Games has set aside $40 million in prize money for the Fortnite World Cup, of which $10 million will be awarded over 10 weeks during the qualifying stage and $30 million will be reserved for those players who qualify for the New York City final. 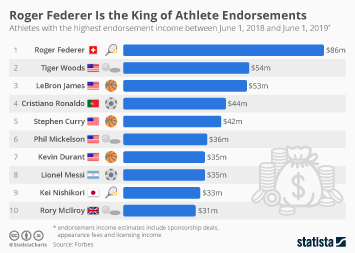 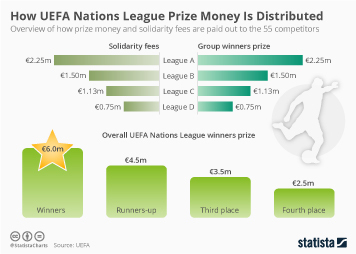 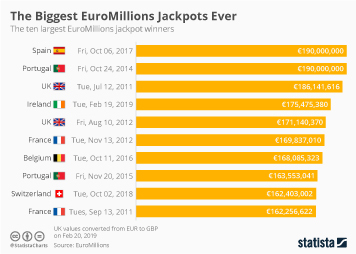 The solo champion will bag a record-breaking $3 million prize, making the winners’ purses in some of the biggest individual sporting events in the world look like small change in comparison. 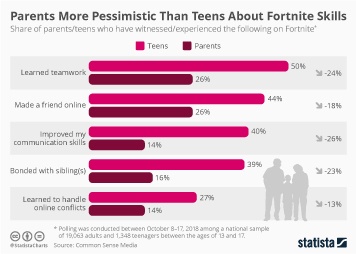 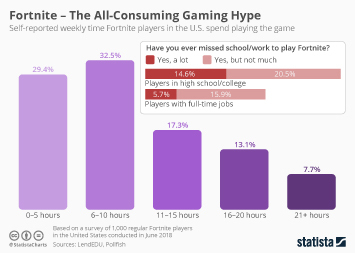 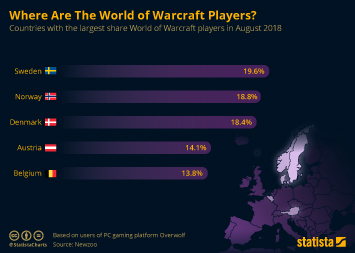 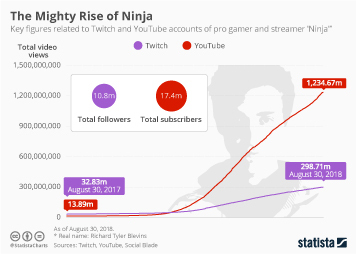 As the following chart illustrates, you could win the Tour de France, the Hawaii Ironman, the New York Marathon and the Masters Tournament in Augusta and still walk (or limp) away a poorer person than the world’s best Fortnite player. 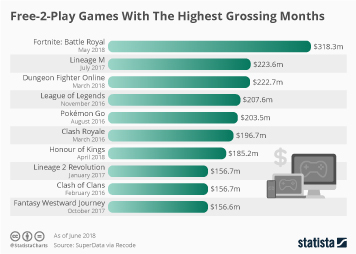 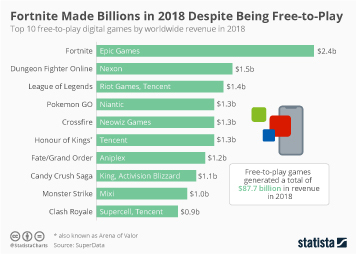 The tournament is part of Epic Games’ campaign of making Fortnite the most lucrative game in esports. 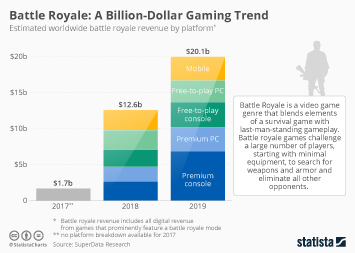 Last year, the company pledged to put up $100 million in prize money for Fortnite events through the end of 2019. 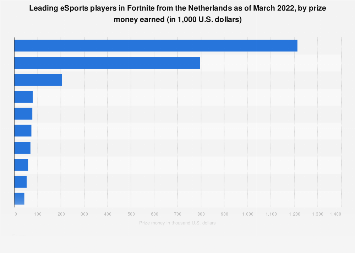 This chart compares the prize money of the winner in the upcoming Fortnite World Cup to the prize money in major individual sporting events.